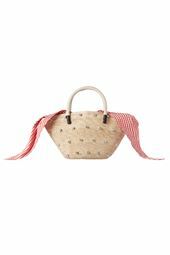 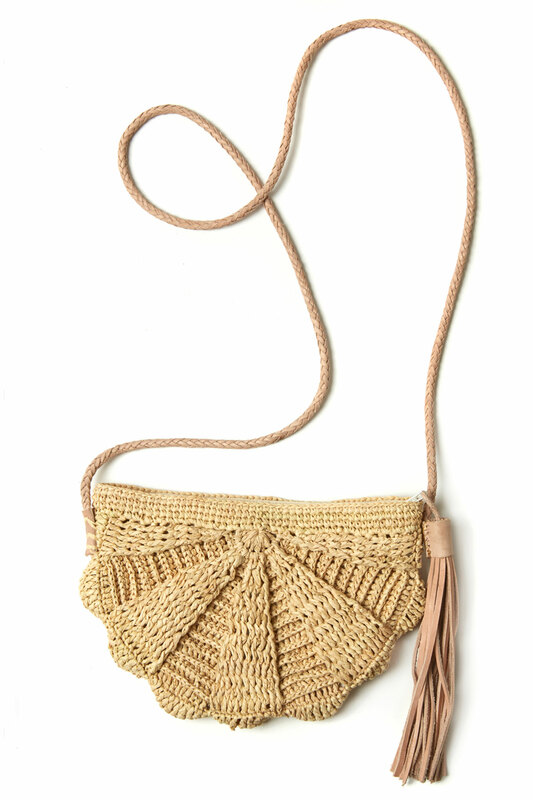 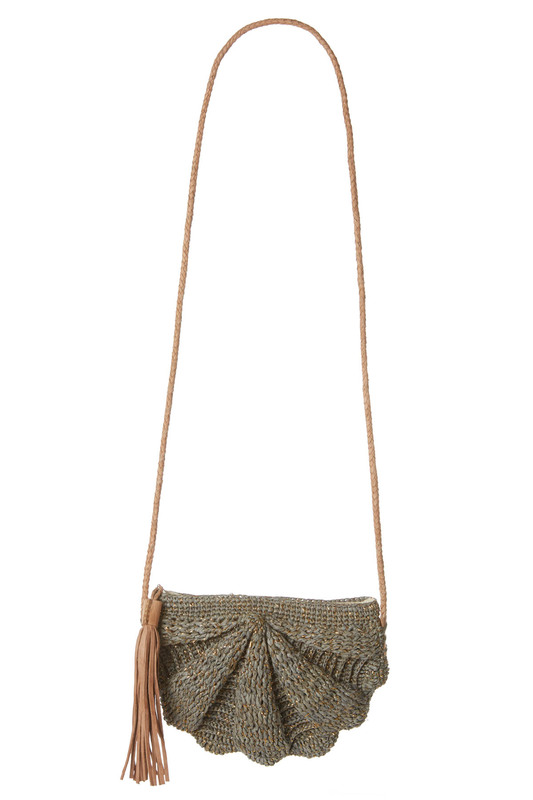 Zoe crocheted raffia crossbody bag with scalloped edge and leather strap and tassel. 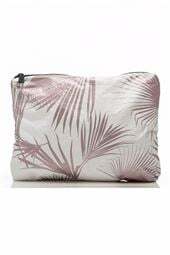 Offers zip closure and cotton lining. 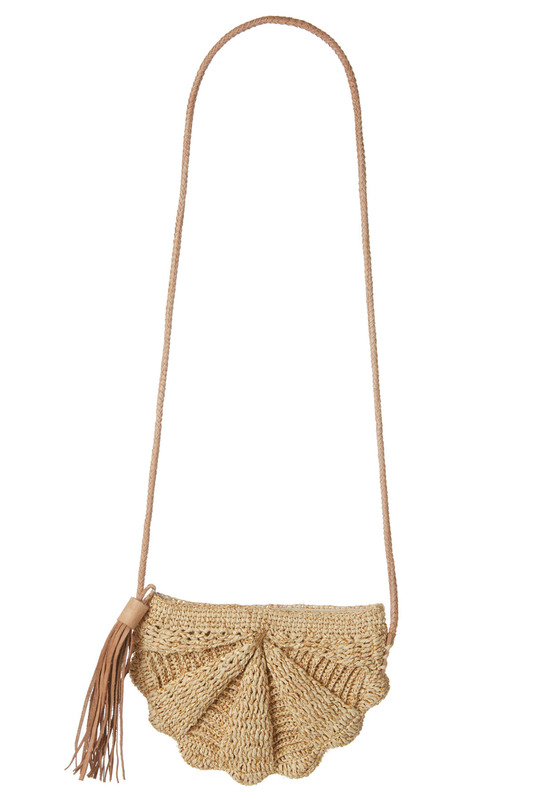 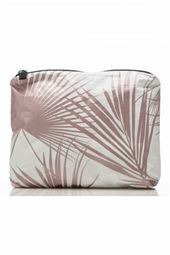 Mar Y Sol bags are made with natural, renewable materials that are sustainably sourced.